Smol lore summary is that Inara is in a alternate timeline where she wasnt a Forest Guardian but the Protector of the Sky. Still has the deer look but the color palette would be shades of blues and whites. 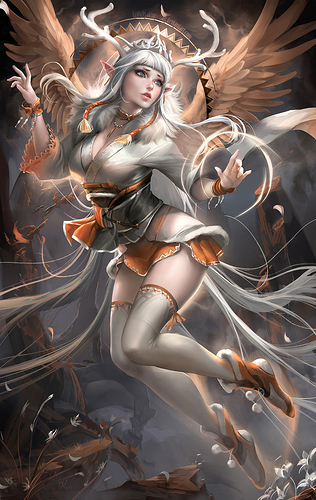 Inara also has wings on her back though its only for aesthetics and not practical use (Similar to Slyvan Kestrel). 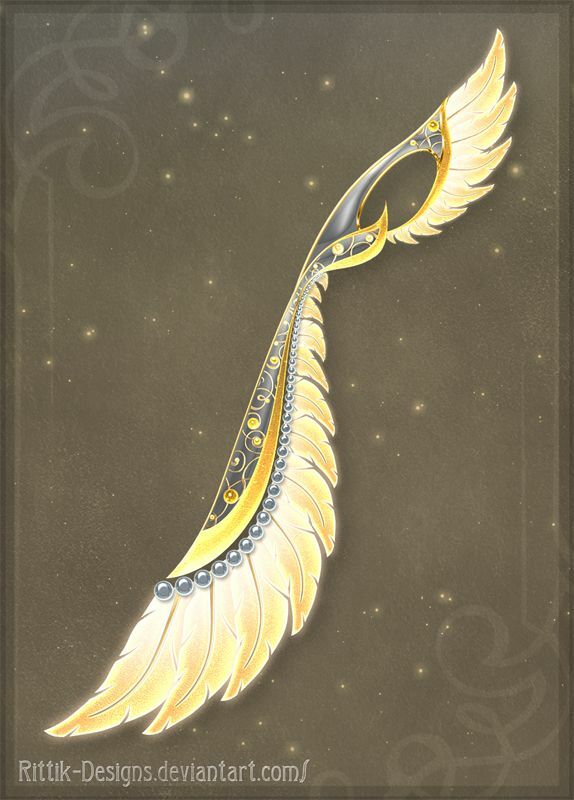 • Weapon: Her basic Glaive design is remodeled to have the edge/blade changed to a more razor sharp feather look to it. Similar to the photo below for how the edge would have looked.